Joel Embiid and the Sixers escaped Milwaukee yesterday with a 113-104 victory, thanks to Embiid's team-high 22 points, 12 rebounds and five blocks. 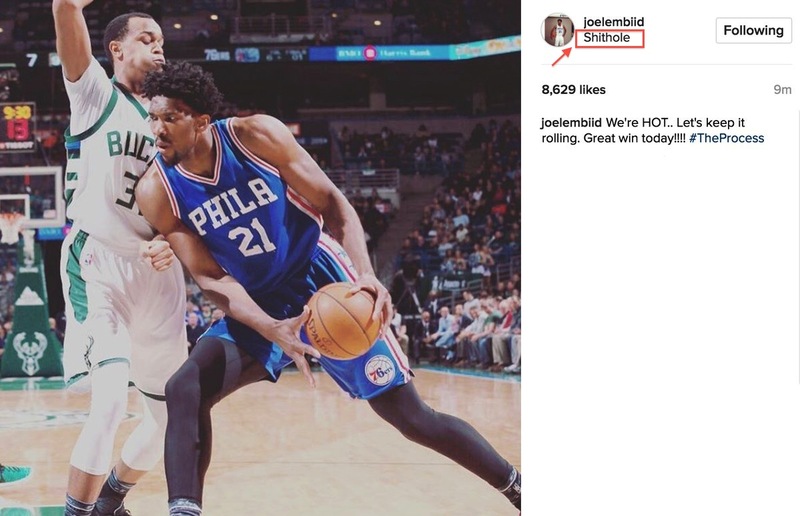 After the game, as Embiid so often does, he posted a harmless photo to his instagram which would've gone unnoticed had he not tagged the location as "Shithole" rather than Milwaukee (or the BMO Harris Bradley Center). This isn't the first time Embiid has created a custom location tag (sometimes it's "Playoffs" instead of Philadelphia) but this is easily his best work yet. Although, the Sixers PR team would probably say otherwise. Joel "The Process" Embiid has since deleted the location tag but screen shots never lie.